Join the CFN Network for Indie Game Developers Watch my latest Youtube Video! I grow Twitter accounts with a real following. Gain new followers monthly. Pricing starts at 350-500 Euro monthly, depending on the package. I cross promote and engage your twitter following with fresh content daily. Pricing starts at 350 - 500 Euro, depending on the package. 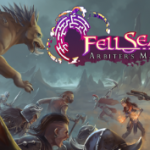 "We worked with Eddie during our Kickstarter campaign for Fell Seal: Arbiter's Mark and were very happy with the results and the collaboration! Eddie's help on twitter was tremendous and he even taught us a lot about the platform. His contribution was certainly instrumental in the success of our Kickstarter." 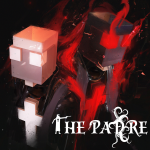 Patrick Hickey, Jr., The Voice of "The Padre"
"In just a few months, Eddie was able to dramatically improve our Twitter reach and get us started on Discord. That led the team to meeting plenty of like-minded people we wouldn’t have been exposed to and in turn, a bevy of Coverage from the audience we wanted."